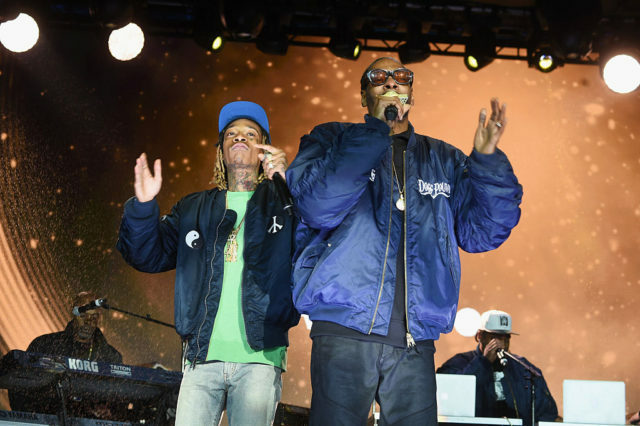 Forty-two people were injured when a barrier railing gave way midway through a Snoop Dogg and Wiz Khalifa concert at Camden, New Jersey’s BB&T Pavilion on Saturday night, NBC reports. “Okay, that’s enough of that,” Snoop Dogg can be heard saying in video of the incident, apparently asking an offstage DJ to cut the music. Security escorted Snoop and Khalifa from the stage, and the rest of the concert was subsequently cancelled. Neither rapper appears to have issued a statement or commented on social media. Tonight’s BB&T Pavilion show — an “I Love the 90’s” concert featuring Salt N Pepa and Vanilla Ice — will go on as planned, organizers told NBC. See fan-shot video of last night’s incident below.